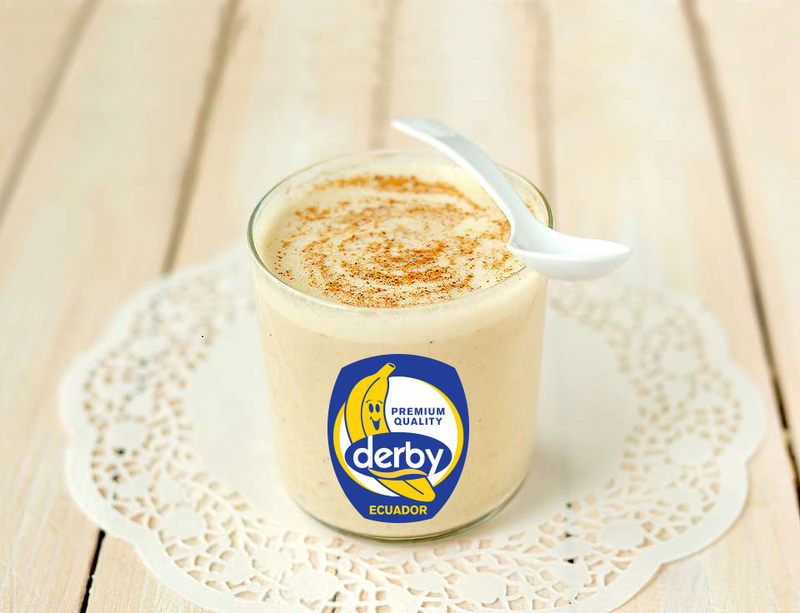 Smoothie with bananas and peanuts | DERBY® PREMIUM BANANAS RASTODER Company - DERBY bananas and other fresh FRUIT and VEGETABLED for you! Take the banana out from the freezer, and wait 5 minutes. The banana peel should be colored in black, but the banan inside the peel should be like a fresh one. Cut off the two end of the banana and then cut it in a half. Take the peel off. Put all the ingredients into the mixer and mix to get the correct liquid into which you add the ice cube. At the end when you serv it, you can add the cinnamon on top. Porcija je za dve osebi.